Roughly 20 to 25 percent of the Australian Stock Market by market Capitalisation is made up of resource or resource related stocks. As Ed Seykoya said “Commodity trading is the purest form of trading in the world and resources companies are simply a leveraged version of this.” If you are looking to invest in resource or resource related stocks, this book is must read. 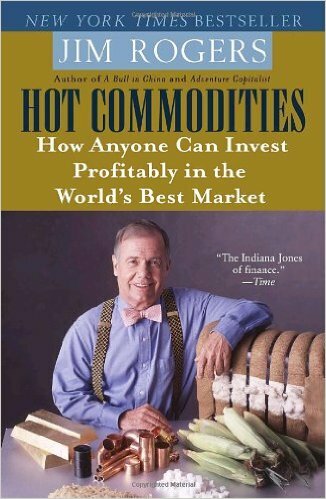 Authored by Jim Rogers, co-founder of the Quantum fund, it covers off all the essentials of investing in commodities. The book discusses supply and demand fundamentals, the bull and bear cycles that commodities typically follow, and the reasons that cause them to happen. It also discusses physical and derivative trading in commodities, and looks in detail at the current fundamentals of all the major commodities.